Complementary color schemes make flowers pop on the page. Use the grid method when drawing flowers to help capture tiny details. Only use kneaded erasers on suede board—others will damage the surface of the paper. Consider drawing flowers on suede board for a softer, smoother appearance. Transfer paper can be found in any arts and crafts store. Sketch your line drawing on the back side of the transfer paper with a soft graphite pencil. Carefully place the paper, graphite side down, over the suede board. 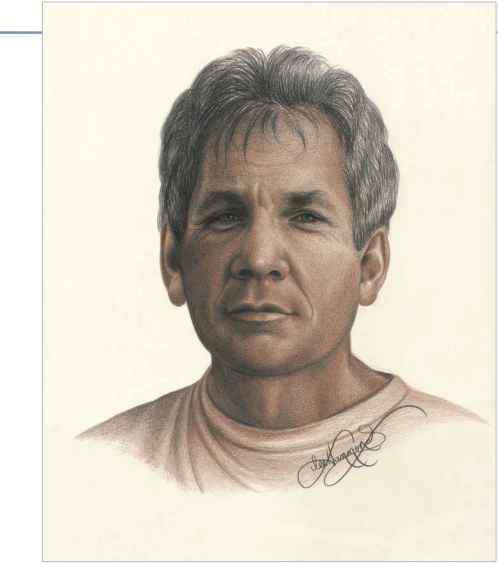 Outline the image with a regular pencil and the graphite underneath will transfer to the suede board. 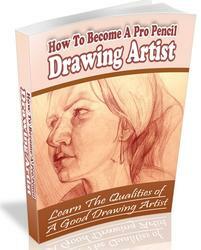 Once the drawing is transferred, clean up any smudges with a kneaded eraser. Do not use any other type of eraser, because it will damage the surface of the paper. Whenever you are drawing an object surrounded by water, you must include the reflections in the water. Unlike shadows, which change depending on the light source, reflections are always vertical and directly below the object. When drawing reflections, remember that the movement of the water interrupts the image and somewhat distorts the shapes. 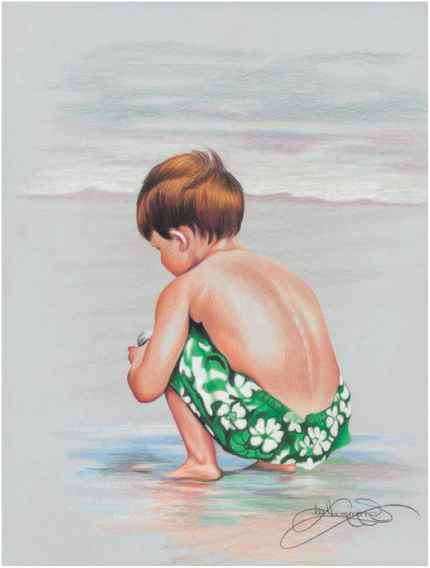 This is a drawing of my grandson, Gavyn, at the beach. Study all of the colors reflecting below him in the sand—such reflections are always vertical and are never as bright as the original subject matter. 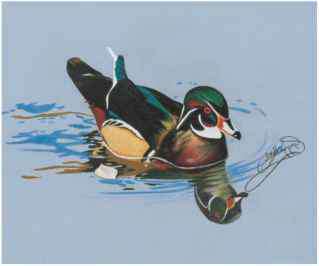 This drawing of a wood duck shows the extreme reflections water can create. Although the water was very still when I took this photo, the shape of the duck's head is distorted and appears larger in the reflection. The colors are still quite stark, but they are not as bright as the actual duck. 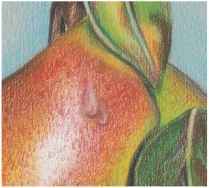 This is a close-up of the pears from page 42. View each droplet of water as a separate sphere, complete with its own highlights and cast shadows. 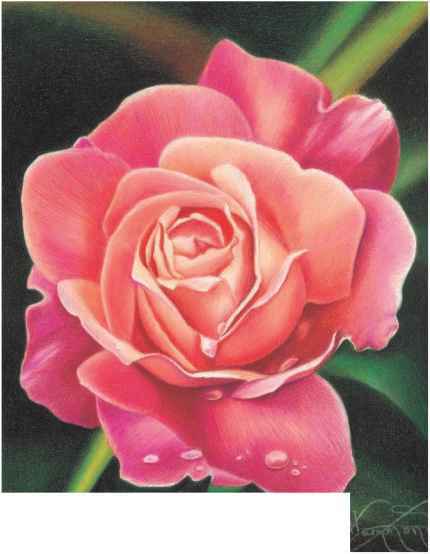 Although water appears clear in color, it always reflects the color of the surface it lies on, like the pink of this rose.